On the planet Aqua, a world once known as Mars, Akari Mizunashi has just made her home in the town of Neo-Venezia, a futuristic imitation of the ancient city of Venice. 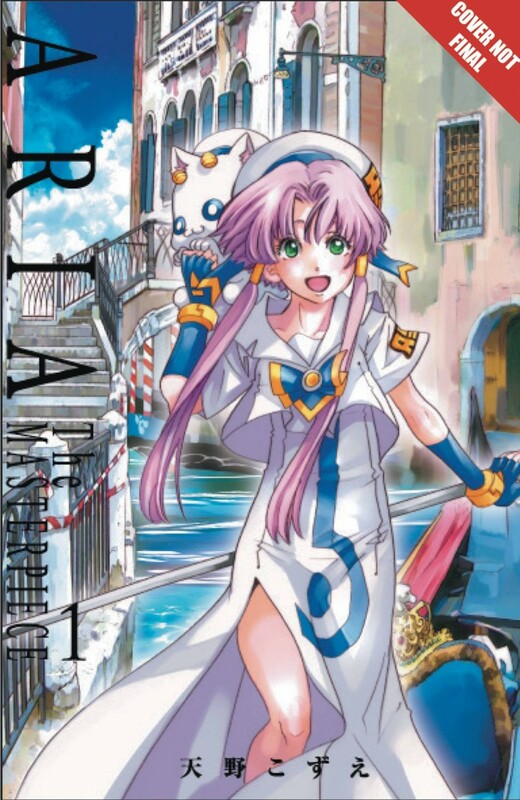 In pursuit of her dream to become an Undine—a gondolier who leads high-end tours around the city—Akari joins as a trainee with the Aria Company, one of the three most prestigious water-guide companies in Neo-Venezia. There, she explores the beauty of the city and the world along with other trainees from Aria and rival companies, working hard for her dreams and making new friends along the way. Dive into the world of Aqua with Kozue Amano’s gorgeously detailed illustrations and full-color spreads in this deluxe masterpiece edition, featuring the full prequel series, Aqua!